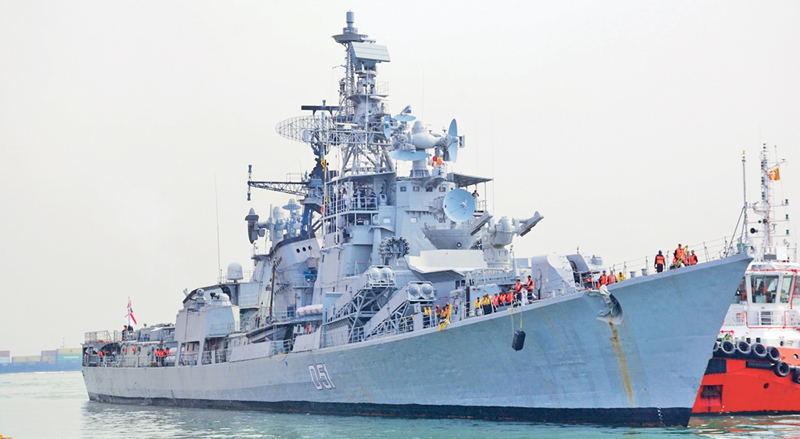 The Indian Naval Ship INS Rajput arrived at the Colombo Port yesterday on a goodwill visit. The ship was ceremonially welcomed by the Sri Lanka Navy in accordance with naval traditions. Defence Advisor to the Indian High Commission in Colombo, Captain Ashok Rao was also present on the occasion. The vessel which is 146m long and 15m wide has a displacement capacity of 4,560 tons. During her two-day official visit, crew members are scheduled to visit places of interest in the island. The ship is due to set sail for her next port of call from the Colombo Harbour today.